Dating app Tinder has beaten Netflix and it is now the top-grossing non-game app on the iOS App Store, according to intelligence firm Sensor Tower. 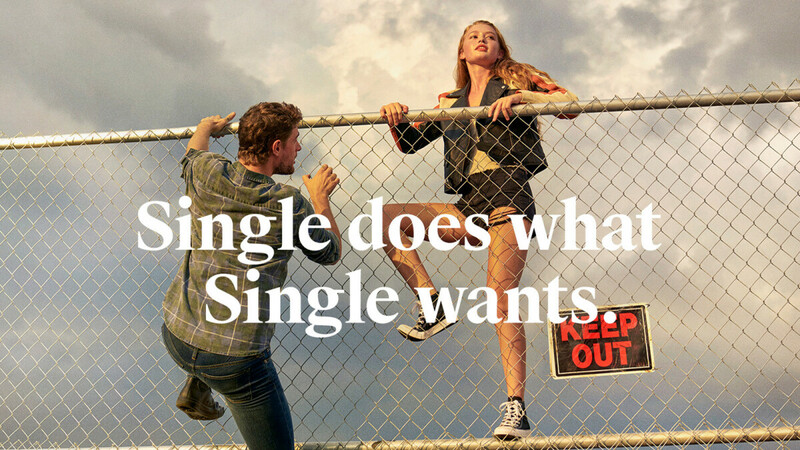 Tinder's revenue soared by 40% in the first quarter of 2019 to reach $260.7 million, up from $183 million from the same period last year, while Netflix's numbers went down from $255.7 million to $216.3 million. But there is a reason for that: Netflix itself stopped paying the so-called "Apple tax", a 15% cut on all in-app purchases that go through Apple's systems, and since December of 2018, all new Netflix subscriptions are handled outside of iOS. Apple traditionally charges companies a 30% cut of their subscription revenue for the first year and then drops that number to 15%, but Netflix is said to have had a special deal with the 15% rate available on day 1. Even those 15%, however, workout to a massive amount when you look at the numbers. At an estimated annual revenue of around $850 million, 15% would amount to around $130 million. Netflix pulling out of the App Store subscription program (it had already pulled out of a similar program on Android earlier) is basically a reaction to those huge amounts of money that it had to pay to Apple, which provided only the platform. And of course, this move has allowed Netflix to keep more of its revenue to itself. At the same time Tinder's popularity has continued growing and the company has managed to overcome Netflix as the top grossing app. 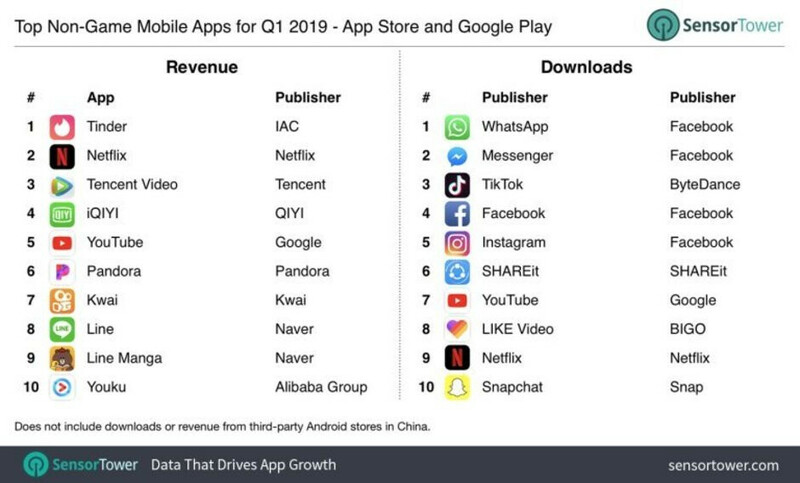 Interestingly, if you look at the general picture of things, you see that the majority of the top grossing, non-game apps in this first quarter of 2019 all had something to do with streaming, either for music or for video. Those apps include Tencent Video (a video streaming service popular in Asia), YouTube, Pandora and YouKu (Chinese YouTube alternative). And if you look at just the top downloads, you see that messengers at among the most popular ones: WhatsApp, Messenger, TikTok, Facebook, Instagram, and others. Considering these numbers it really is no surprise to see Apple shift to a portfolio of streaming services of its own. The newly announced Apple TV+ is coming this fall and will open a new world of Apple-original movies and shows headlined by an Oprah show and a bunch of Hollywood honchos, plus it will offer streaming from services such as HBO or Showtime. And then you have Apple Arcade, a brand new gaming service focused on quality releases that do not have pay-to-win written all over them. Nah those type of people just go on THE HUB all day. If you know what I'm saying.